• Relaxation Vacations in Florida. 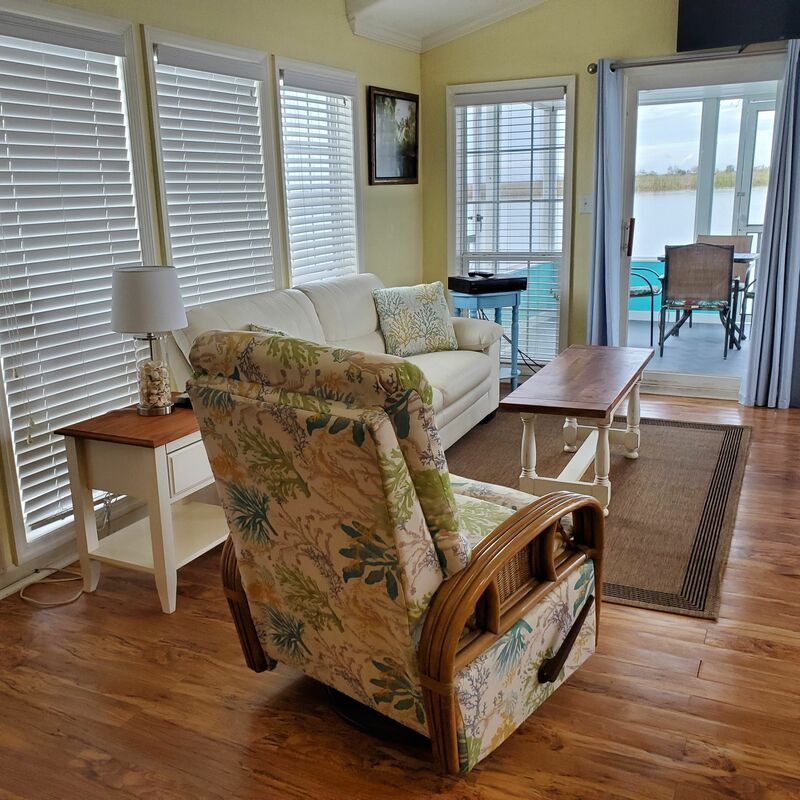 A fun fishing vacation in Florida might include dropping a line out your screened in porch. 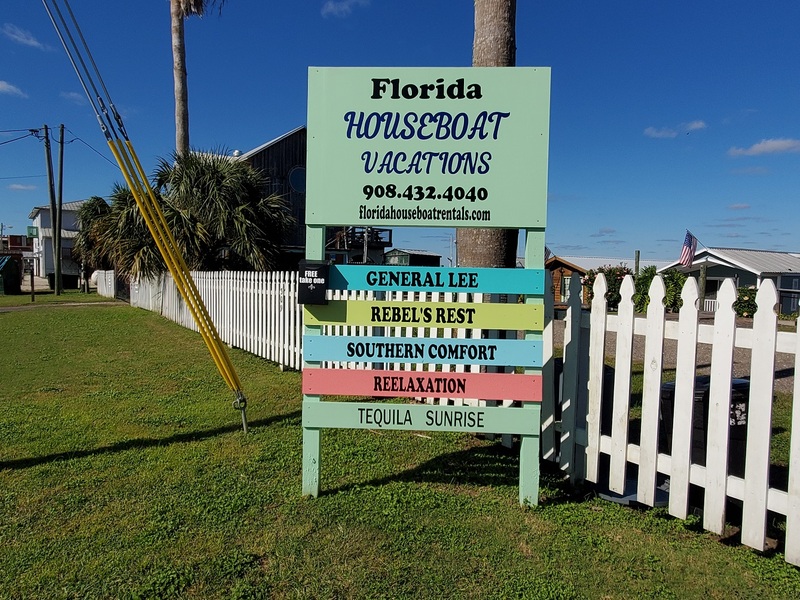 Or simply have one of our local fishing guides pick you up at the front door of your Apalachicola Fla houseboat rental. 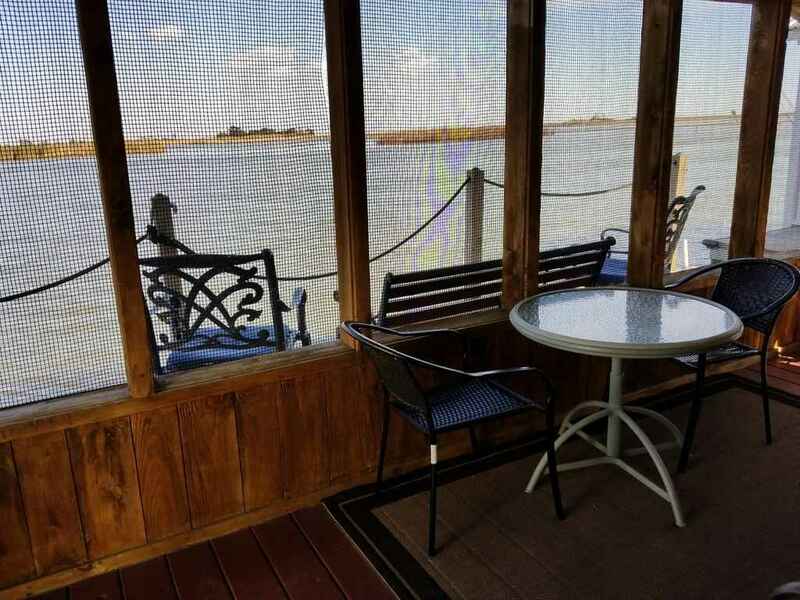 Alternately, just sitting with a good book while the shrimp boats pass within waving distance is hard to beat. 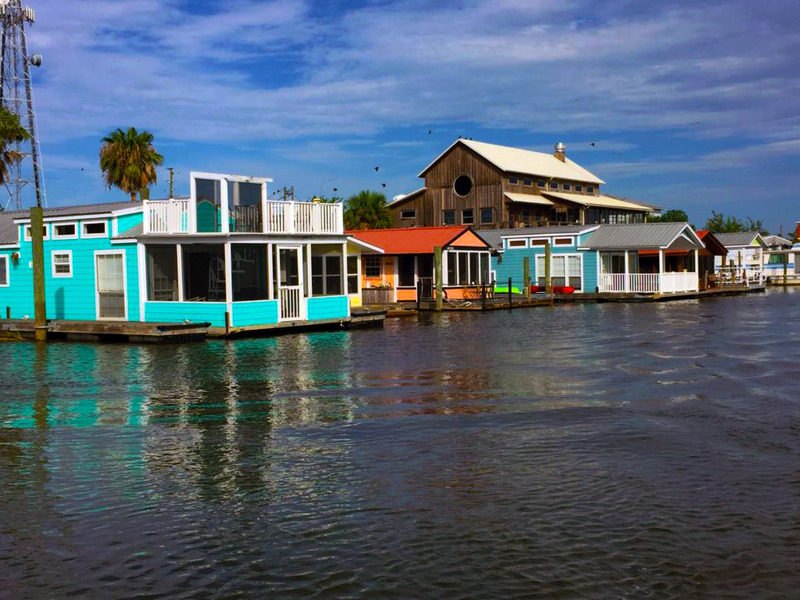 Located at the mouth of the river and within the city historic district, shopping and fresh seafood dining is literally only steps away. 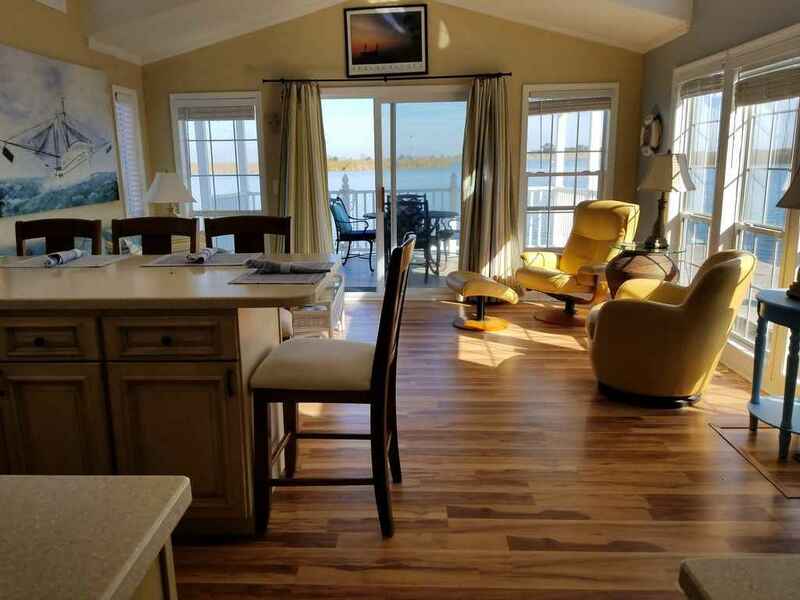 Enjoy the rise and fall of the tide while surrounded by wildlife in a stunning and unspoiled natural setting. 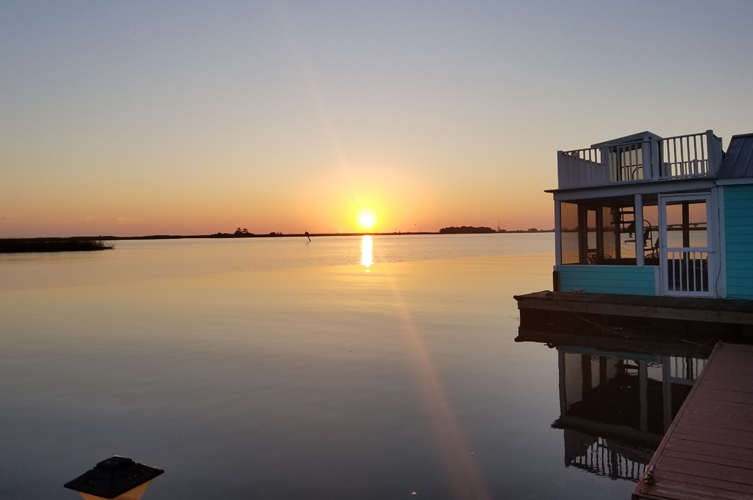 Dine in and witness the sun rise and set without leaving home. 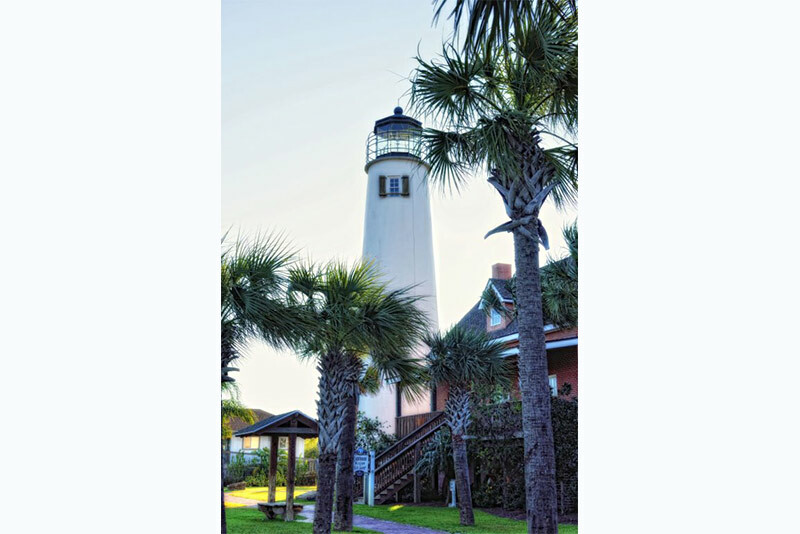 St. George Island Beaches are just minutes away by car. 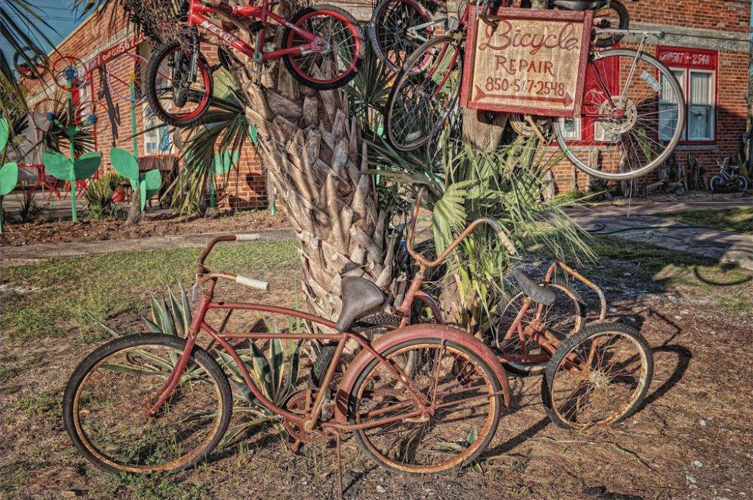 Apalachicola is historically an old shipping town thanks to it's location at the entrance to the Gulf of Mexico. Original antebellum cotton warehouses line the Wharf .During the Civil War, this harbor served as the South's second largest cotton shipping port.This beautifully preserved piece of history is a must for Apalachicola History. 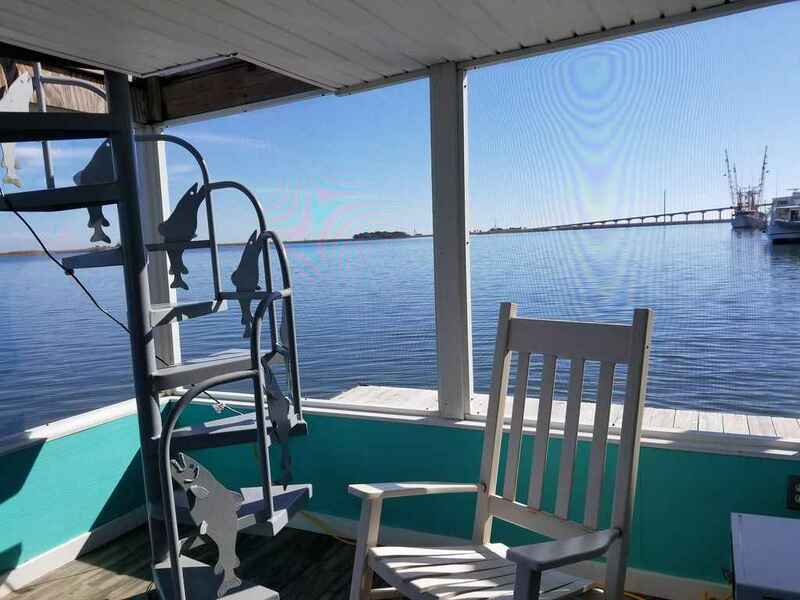 Visitors to Apalachicola immediately know that they are in a very special place. 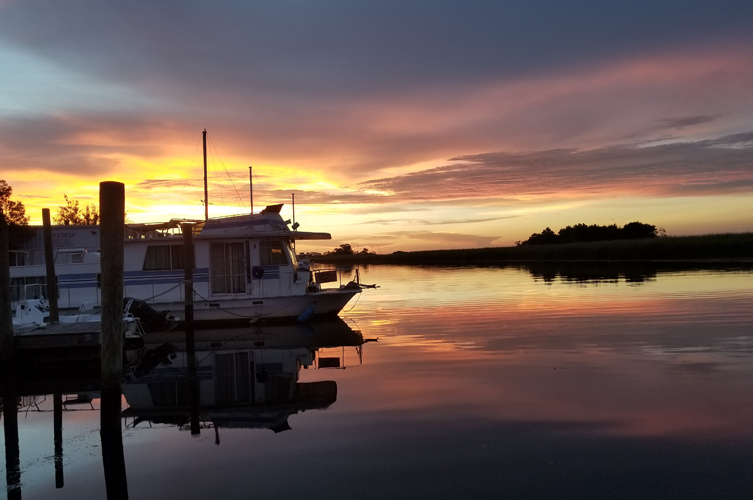 Apalachicola is synonymous with character and authenticity. 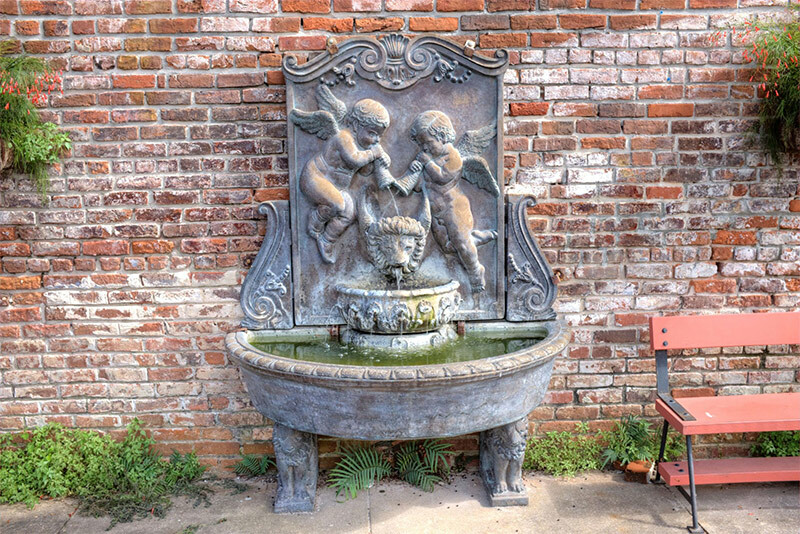 Its colorful and diverse past remains very visible today through its many historic buildings, homes and historic sites. The original town plan, developed in the 1830s, remains intact. It features wide tree-lined streets, rows of brick and granite cotton warehouses, a working waterfront and a charming commercial center. Ship’s stores, old net factories and a sponge warehouse now house a mix of eclectic and discretely sophisticated shops, restaurants and galleries. 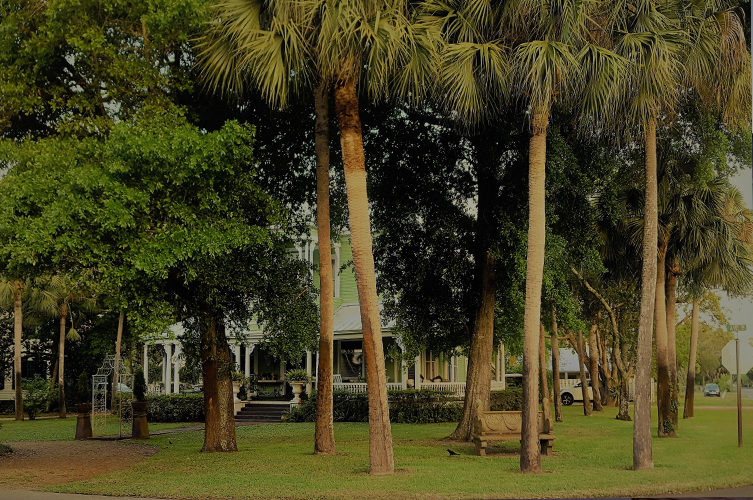 These locally owned and operated businesses create a quaint and friendly atmosphere for visitors as well as residents. 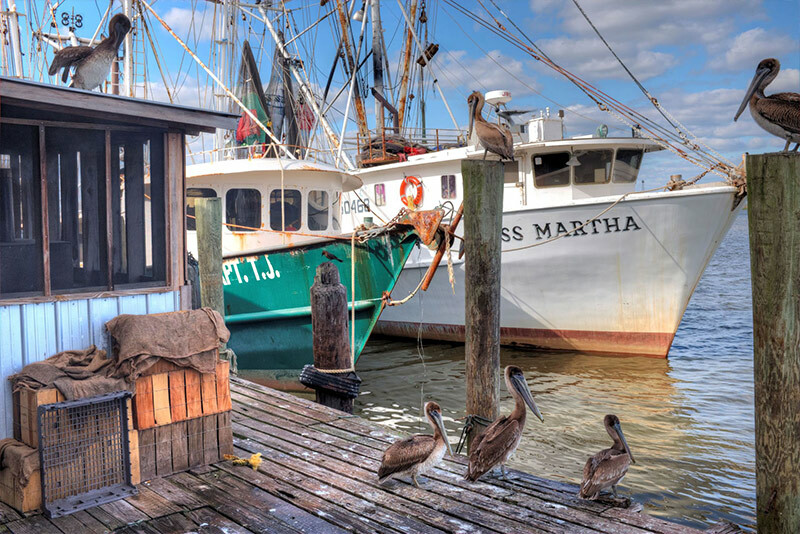 Far from a typical “tourist’s town”, the waterfront is dotted with fishing vessels proudly showing the patina of years of service. The seafood industry is the highlight of our maritime legacy. 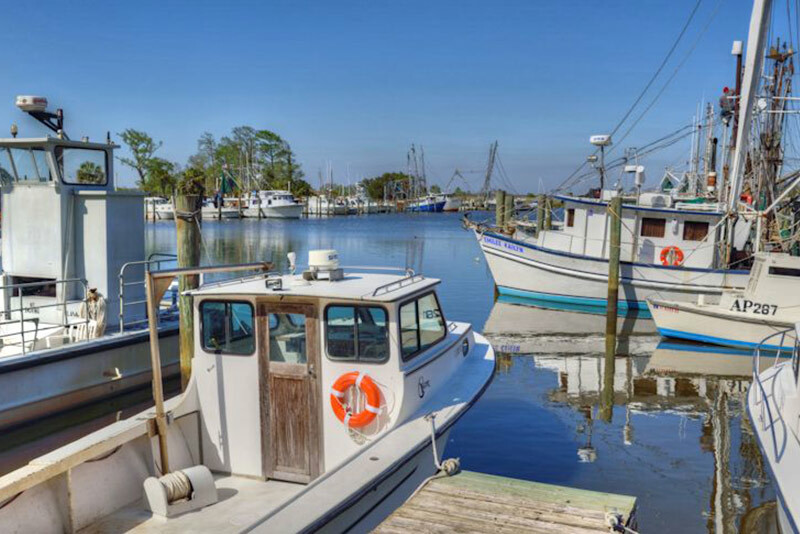 The business district is interwoven with oyster houses, shrimp packing plants and an original ice house. Restaurants are nationally noted for using locally harvested seafood, produce and tupelo honey. 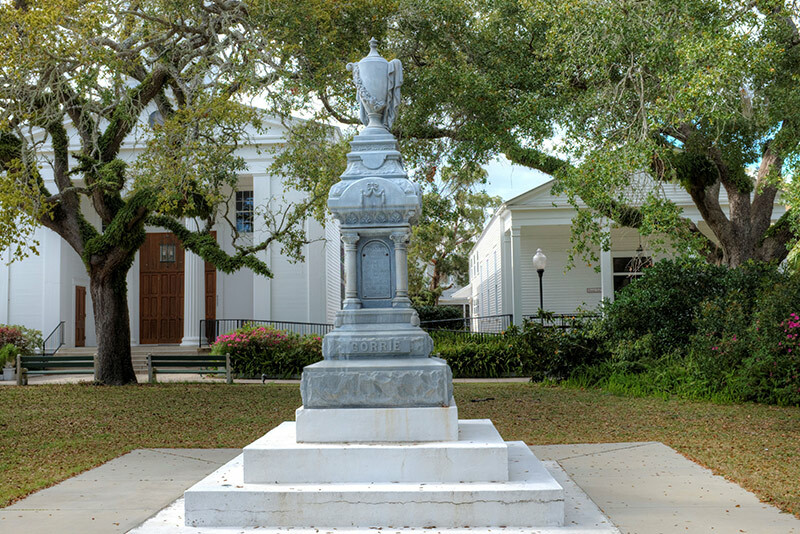 The community’s arts and cultural programs have evolved from historic roots and continue to be housed in 19th century buildings churches and significant homes. 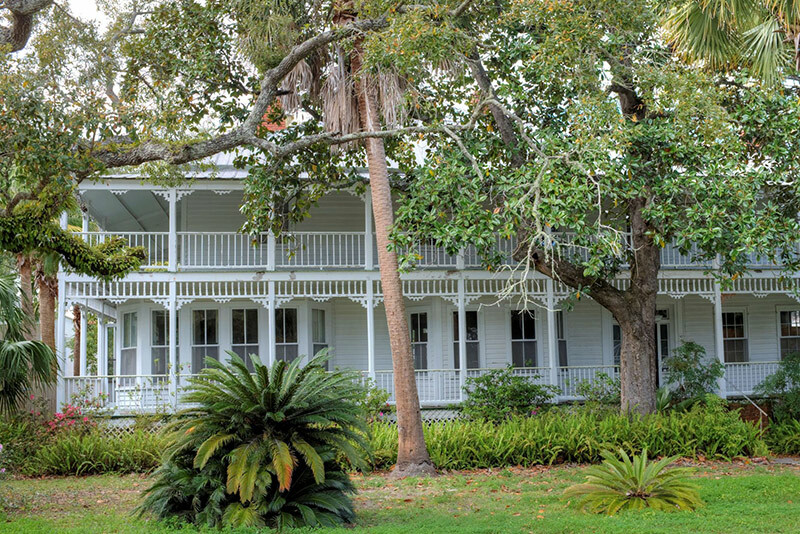 Apalachicola was named one of the National Trust for Historic Preservation’s Dozens of distinctive Destinations in 2008.